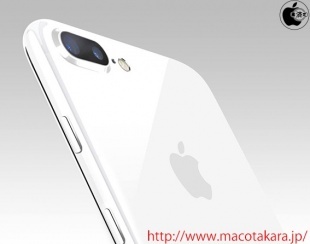 Apple plans to add a "Jet White" color option for iPhone 7 and iPhone 7 Plus models, according to Japanese website Mac Otakara. The report did not outline when Apple might add the sixth color to the lineup, and it also warned the information obtained from supply chain sources "may be unreliable." Mac Otakara has accurately leaked information about Apple's upcoming plans in the past, including the new Jet Black color and no 3.5mm headphone jack on iPhone 7. It was also correct about several other iPhone 7 details, including its naming, flush Home button, longer earpiece cutout, and lack of Smart Connector. Nevertheless, the blog has been wrong on occasion, such as when it said the iPhone SE may come in a brighter pink shade that's different than Rose Gold. Moreover, given the lack of confidence in its own source, this rumor may not materialize and should be treated with a proverbial grain of salt. Jet white? What's next, milk black? I'm holding out for ceramic. This is all I ever wanted color wise!!!!! Please! Jet White just in case you want your phone to look like a kitchen appliance. Jet White. I reckon Apple has a whole department for coming up with lame names. Not bad, does look very clean and is probably not so prone to scratching as the jet black one. White or black face though? I'm happy with my matte black, but would have considered a jet white if the front would have been black still (like the white was for the iPhone 3g). Just don't care for the white fronts.